Why might you need a bat survey? There are 18 species of bats in the UK, all of which are protected under the Conservation of Habitats and Species Regulations (2017) and the Wildlife and Countryside Act (1981 as amended). It is an offence to kill, injure or disturb a bat or destroy, damage or obstruct a bat roost, even at times when bats aren’t present. It is crucial to consider bats as part of the planning process and planning permission will not generally be granted without thorough survey and assessment. If your proposal will affect buildings, structures or trees, it is essential that these are assessed for roosting bats. In many cases, assessment of bat use of land to be developed will also be required. Bat Risk Assessment The first step is likely to be a bat risk assessment, during which an ecologist will inspect the structure or tree to determine its suitability to roosting bats. Aerial Tree Inspection Our trained tree climbers can also inspect potential roost features on trees to assess likely bat use. Preliminary Ecological Appraisal During preliminary ecological appraisal, habitats will also be assessed for their suitability to foraging and commuting bats. Emergence/Re-entry Surveys Further surveys will be recommended based on initial assessment and will comprise surveyors boxing in the structure at dusk and/or dawn to record bats leaving or returning to roosts. Transect Surveys and Remote Monitoring Where habitats are suitable, further activity surveys and monitoring may be recommended. This comprises surveyors walking transects and recording bat activity as well as monitoring of sites with static detectors. Specialist Surveys E3 can also provide advanced bat surveys, including harp trapping and mist netting, which will be recommended in specific circumstances. Reporting Following survey work, we will provide high quality reporting, impact assessment and mitigation design. Licensing Where bat roosts are present, a mitigation licence will be required. We can provide licence applications, as well as supervision of licensable works. One of our team is a registered consultant for low impact bat licences. More details can be found on the licensing page. 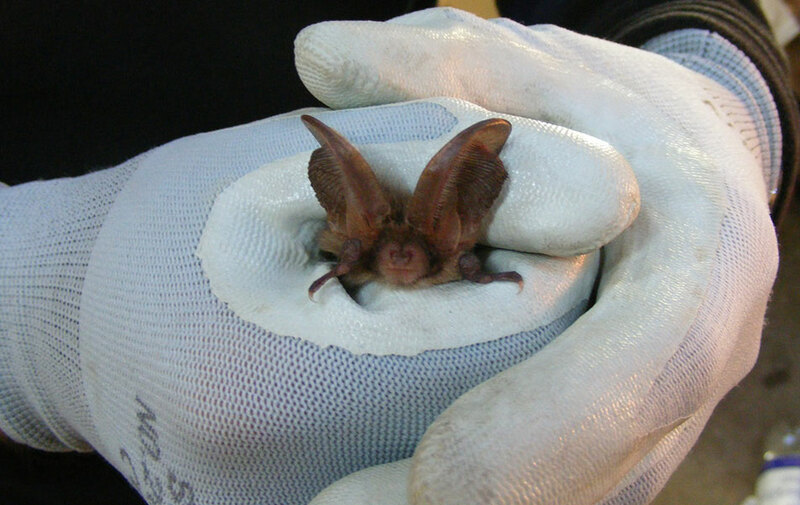 When can bat surveys be carried out? The E3 team includes licensed bat surveyors with extensive bat survey experience on a range of projects. We hold licences for England and Scotland and can carry out specialist surveys including endoscope survey, hibernation survey, harp trapping and mist netting. Our team of trained tree climbers can carry out aerial assessment for bat roosts in trees and our large team of trained assistant bat surveyors means we can easily cover large sites for dusk and dawn surveys. The team also have broad ranging experience of designing mitigation and compensation for bats as well as production of mitigation licence applications. We can guide you through the licence process and provide supervision of licensable works. Our team also includes a registered consultant for low impact bat licences. From small house extensions to large scale housing, minerals, road or power schemes, assessing the bat use of a site can be essential. E3 will tailor the extent and type of survey to the site and the development proposals, ensuring a cost-effective approach and early identification of key constraints.